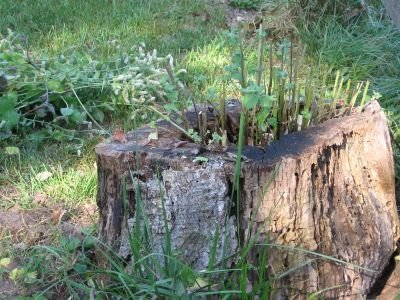 I've had this blog for nearly six months, and I'm still terrible at keeping gardening records. Yesterday afternoon found me in the garden happily prepping beds, yanking up weeds, and scattering all sorts of seeds. There was a lot I wanted to accomplish, and I jumped into my work armed with everything I would need: gloves, hoe, Oriental garden tool, an ambitiously large pile of seed packets, the Environmentally Friendly Weed Eater (it's at that point again where there are now more weeds than food in the garden, so the threat of devistation to edible plants is low), and my handy dandy clipboard sporting a fresh piece of paper and one of my favorite pens so I could write down what seeds I started where as soon as I had planted them. The above photo was taken at the end of my very productive gardening session. I don't think I have to ask you what is missing from this picture. 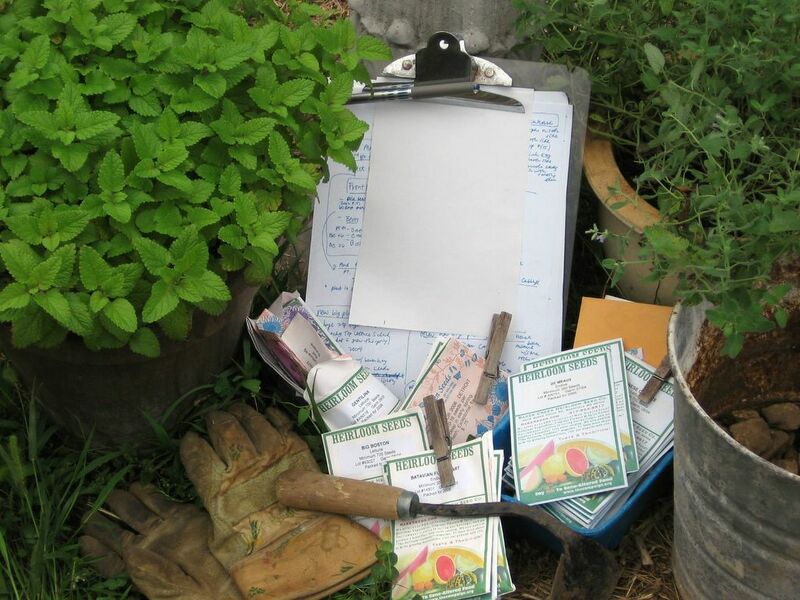 If you had no idea that you'd been taking gardening advice from someone who is somewhat of a scatterbrain (and flat out lousy when it comes to writing important things down), consider yourself warned. I admit I may have been wee bit heavy handed, but as I sprinkled I reminded myself that the seeds probably wouldn't be any good next year. And sometimes letuce seeds just look so darn tiny and the bed looks so big. So how many seeds did I plant? Let's just say that if I get 150% germination rate I did in last spring's lettuce bed (which I let go to seed in the hopes of having an effortless fall crop, but not knowing of course that the lemon cucumbers would obliterate any chance of that happening--plus, um, I think Cary may have nibbled off most of the seed heads anyway), that 4-foot by 8-foot bed should soon be home to several thousand lettuce plants. This ought to be interesting. Especially since, although I know all the varieties of seeds I sowed, during the planting process they somehow managed to jump out of their specified little sections of soil and mingle with one another. Not a problem. I simply decided to hell with identification and that this will be my new signature mesclun mix. After I realized that any possiblity of keeping track of the dfferent lettuces had already been obliterated, I decided to try something new. Lettuce seeds barely need to be covered with soil. In fact, burying them (and any seeds in general) too deep is often the reason they don't sprout. 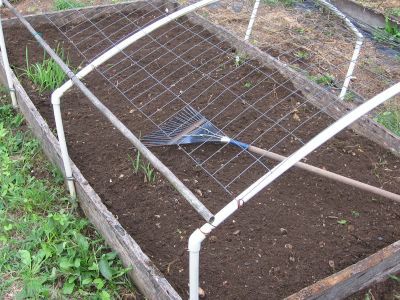 Instead of lightly sprinkling compost over the seeds with a shovel or carefully running my hands over the top of the bed to mix the seeds into the soil like I usually do, I decided to pull out my trusty leaf rake and simply rake the entire plot. I have actually done this before with a rock rake, and I don't know why I never thought of using the leaf rake instead because it did a much better job. Or at least it seemed to. I guess I'll find out soon. --Winter Density, 2006 PT, "Romaine type. Slow to bolt. 28-54 days." Like I said, I got a little carried away with the lettuce. If you're interested in growing some lettuce of your own this fall, I invite you to read my article called "Sublime Salads For Those Who Are Short (On Time, Space, & Sunlight)" if you haven't already. 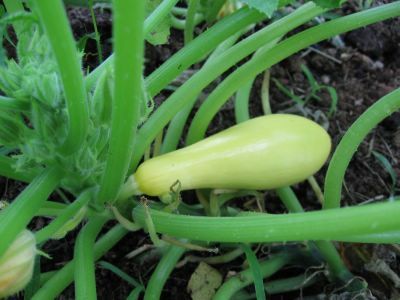 It may have been a while since I've had squash in the garden, but I am almost positive these are not golden zucchini, although the package clearly stated that's what kind of seeds it held. Yep, I just checked the Baker Creek Heirloom Seeds catalog. These are looking a whole lot like Early Prolific Straightneck if you ask me. 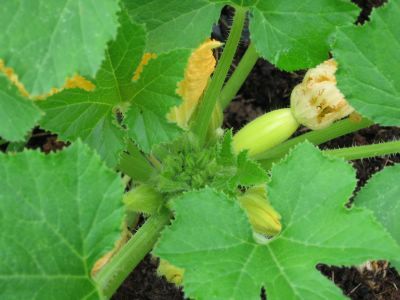 It appears to be a simple seed packet stuffing error, and I will definitely have to see about getting some of the real golden zucchini seeds for next year as they sound intriguing and look delicious in the photo. Now, yes, I won't deny that this is rather a bummer. 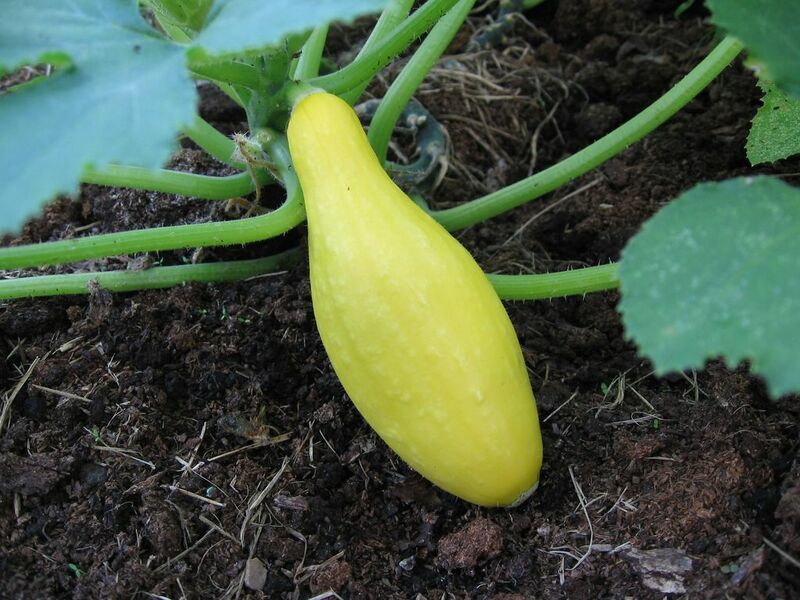 I have eaten (and even grown) my share of straightneck summer squash before. But, on the other hand, I HAVE LIVE SQUASH IN THE GARDEN! Who CARES what kind it is! Okay, I'm fine now. Oh, but the squash surprises don't end yet. Remember that bed of happy little fall crop seedlings the dogs destroyed one lovely Sunday morning a few weeks back? I wrote the other day that some escarole seedlings in the bed with the new crater in it somehow missed being murdered, and that there were some surprising volunteer cucumbers popping up. Well, not only did I find a few more survivors hidden among the weeds today, including a couple of Red Russian Kale seedlings and several Nero di Toscanas. . . (Note: Baby Red Russian kale is almost too adorable. Sprinkle it on salads and wait for the "Oh it's so cutes!" to pour in--if you can handle it.) 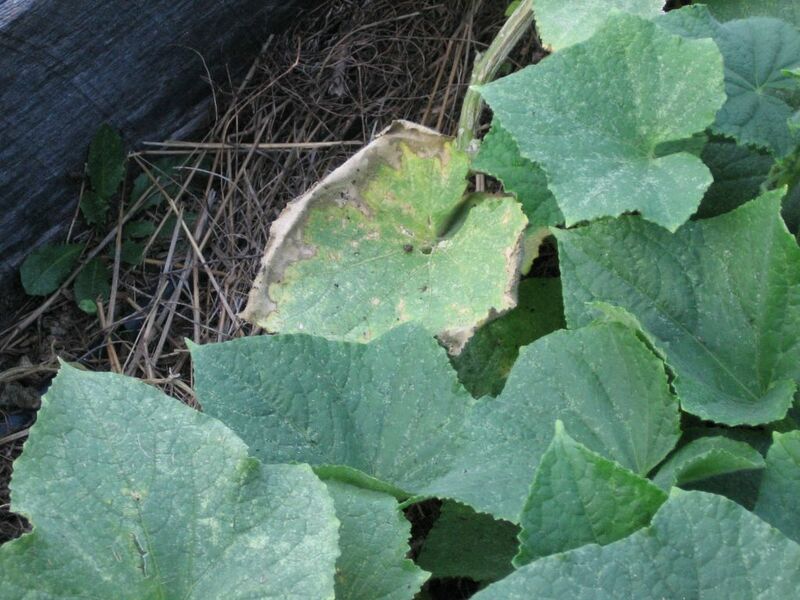 But it turns out those volunteer cucumbers are actually some kind of squash plant! The wonders never cease around here. There are seven of these mystery plants happily growing literally growing several inches a day and absolutely no logical explanation for how they got there. 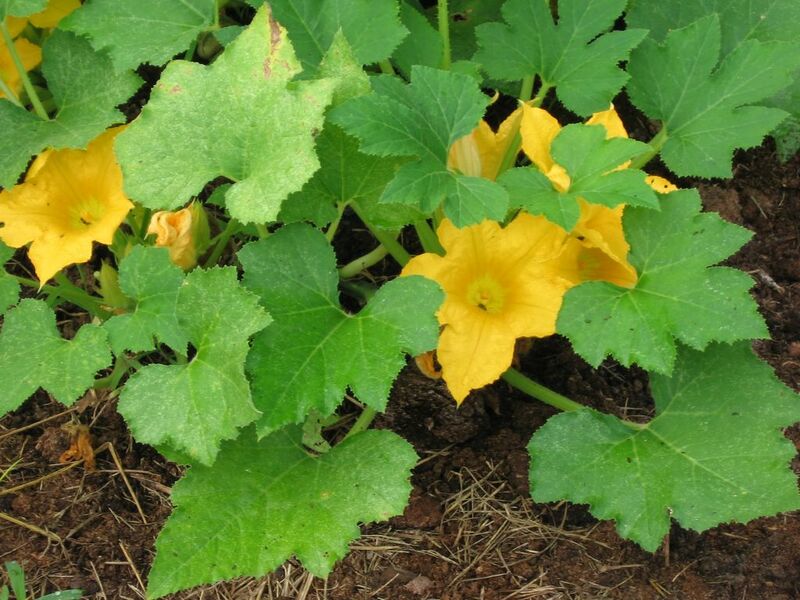 So my illogical explanation is: the dogs felt so bad about pretty much wiping out my fall crops that they planted some squash for me as a goodwill gesture. Hey, in my garden practically anything is possible. Tomatoes of course! (Note to self--yet again: Hello! There is no holding pattern in the garden. If the tomatoes are ripe and ready to pick, leaving them hanging on the vine for a couple of weeks "so they'll stay fresher" is not such a brilliant idea. Bad things will happen to them. Bugs will eat them. They will ROT. Duh. Why can't I remember this? (And believe me, it's not only tomatoes I do it with, either.) I think this goes back to the whole obsessive foodie thing. Maybe I need professional help. Summer may be coming to an end (thank goodness), but that doesn't mean you can fling off your sun hat and tuck the sunblock in the back of a drawer. No, no, no. It's open season on sunburn all year long no matter where you live or what the weather. Click here if you missed reading about why I love my widebrim sun hat--and why I slather on the sunblock 365 days a year. That special sale on sunblock--and 14,000 other products including many items from companies such as Celestial Seasonings (91 items), Newman's Own Organics (47 items), and even Wild Oats (110 items)--at Amazon.com that I mentioned in the sun hat post (which includes links to some of my favorite products) is also coming to an end. You'll receive a $10 instant rebate on your purchase of $49 or more of any combination of food and household products offered by Amazon.com Grocery. Added to their great prices, free shipping over $25, no sales tax, and delivery right to your door, you really can't beat it. Click here for more details or to start shopping. This offer is good through August 31st. Been too busy to blog. 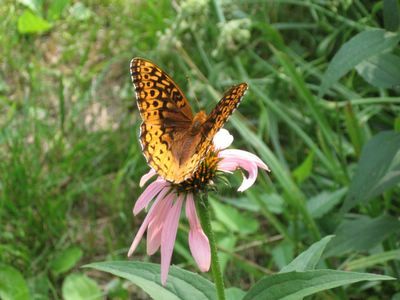 Figured butterfly photos much better than nothing. Personally I never get tired of looking at butterflies--in real life or in pictures. These were taken back on June 28th but never posted. Enjoy. My best fall crop this year may in fact turn out to be zucchini. Despite planting seeds way back in May, this is actually the very first specimen in the garden with enough guts to turn from flower to food. 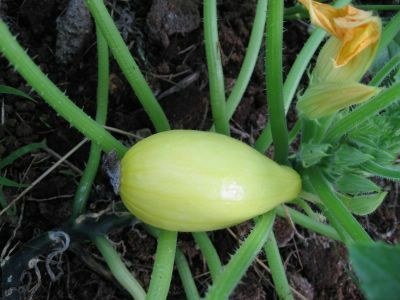 The only thing more embarrassing than admitting (while everyone else is happily flaunting full-grown squashes larger than their children and dogs) that I have yet to harvest any zucchini at all this year is that it has been so many years since I have actually tasted a homegrown zucchini that I have literally stopped counting. All those zucchini jokes. All those people leaving bags of them on strangers' doorsteps and running. All those cookbooks and magazines offering tempting ways to force down your 600th meal of squash. And here I sit zucchiniless. It's very sad. And it is not that I am incompetent. I actually used to be one of those leave-it-on-the-doorstep-and-runners. That was before I moved to Missouri and met my first squash bug (and my second and third and three thousandth). Now I am forced to buy zucchini. That's okay. Go ahead and laugh. I know I probably would if this wasn't about me. I mean, really, what fool buys zucchini? Hello. But we won't go into all that now. I am hopeful. I have four gorgeous baby squash literally growing by the hour out there and weeks and weeks until the first frost. This could actually happen. In the meantime, I'm taking precautions and planting a whole bunch of other stuff just in case. I have had good luck in previous years planting a variety of Chinese greens in the spring. They tend to do quite well and are hardy enough to withstand cooler temps and even frosts. But I usually also have all kinds of lettuce that I am racing to eat in the spring before it bolts, so the chickens often end up eating more of the Chinese greens than I do, which really is a shame because they are versatile and delicious. 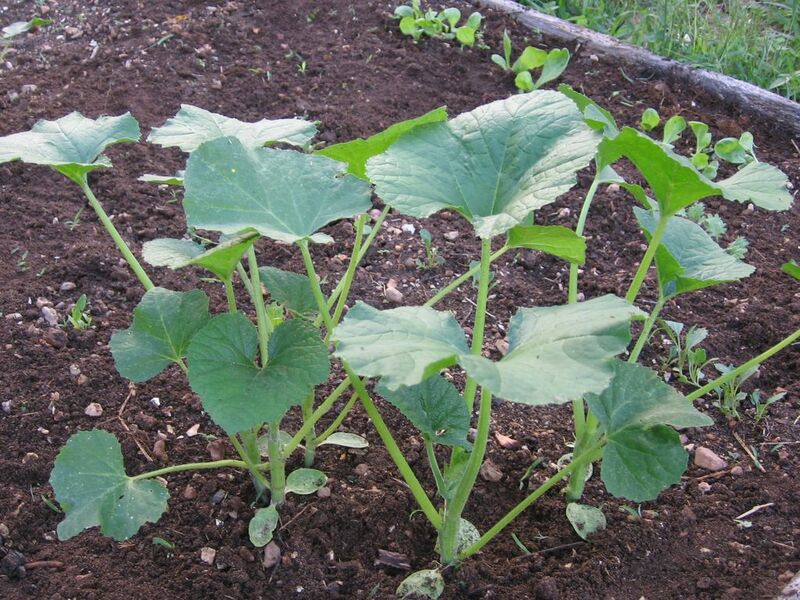 You can toss many of the younger leaves and plants into salads. Mature plants can be stir-fried or sauteed. They are all delicious and very good for you. So I figured I'd see if I could get them to grow in the fall. When nighttime temperatures start dropping, I'll cover them with floating row covers (discussed in Fall Planting Part I) and then with old bedsheets. --Starting to water the section of raised bed I declared a permanent arugula bed last spring. I let a lot of it go to seed, and will now just start watering it. This is what I did last April, and that carpet of arugula magically appeared. Arugula is fairly cold hardy. It bolts quickly in warm weather, though, which is why I haven't started it yet. With temps outside still in the 90sF, it is getting even hotter than that in the greenhouse, despite being covered with a shade tarp and being shaded in the afternoon. --Starting some mesclun mix in hopes of being able to pick fresh lettuce on Christmas. 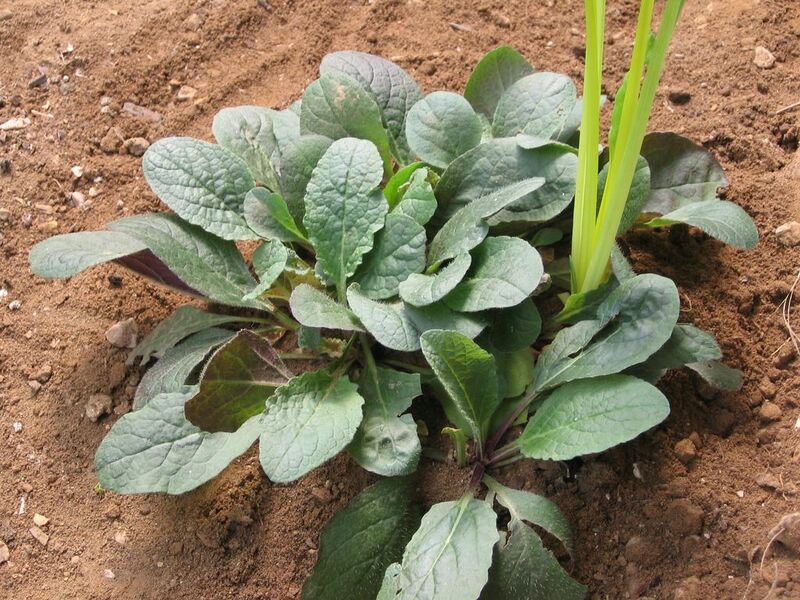 --I'll also be planting more beets and Swiss chard in the greenhouse, though I think that all of the plants that went to seed this summer have probably provided me with ample seeds in the soil already--I'll just start watering and see what comes up. I hope this gives you a good idea of the wide variety of things it's not too late to start from seed if you're in Zone 5 or higher. And as I mentioned previously, if you have four weeks before really cold weather sets in, you can plant a little gourmet lettuce garden and go from seed to salad bowl in less than a month. Click here to find out how. Now I should probably end this by mentioning that if you live in a place where you can absolutely depend on the weather and know that you definitely won't have any crazy surprises, things should go quite smoothly with your fall garden. If, however, you live in a place like I do where literally anything can happen, this whole planting thing is all just one big crap shoot. Like I said before, there's a reason bookies don't take bets on gardeners. But this year I'm feeling lucky. And what's the most I can lose (besides my sanity, of course)? Some outdated packets of seeds and several hours spent outside in the (hopefully) cooler air, surrounded by far fewer bugs, and happily breathing in the joyous scent of autumn on the horizon. Doesn't sound like too bad of a bet to me. I'm in. 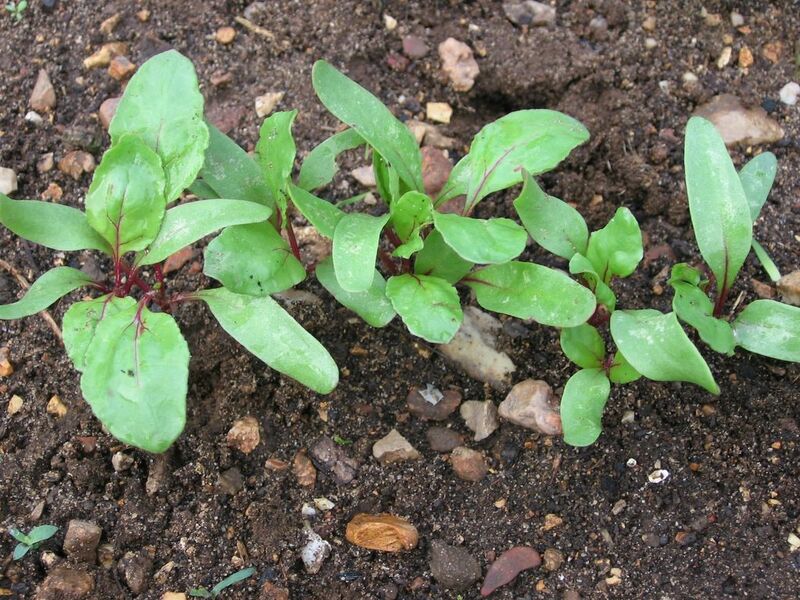 A few Detroit beet seedlings survived last week's Attack Of The Digging Dogs. 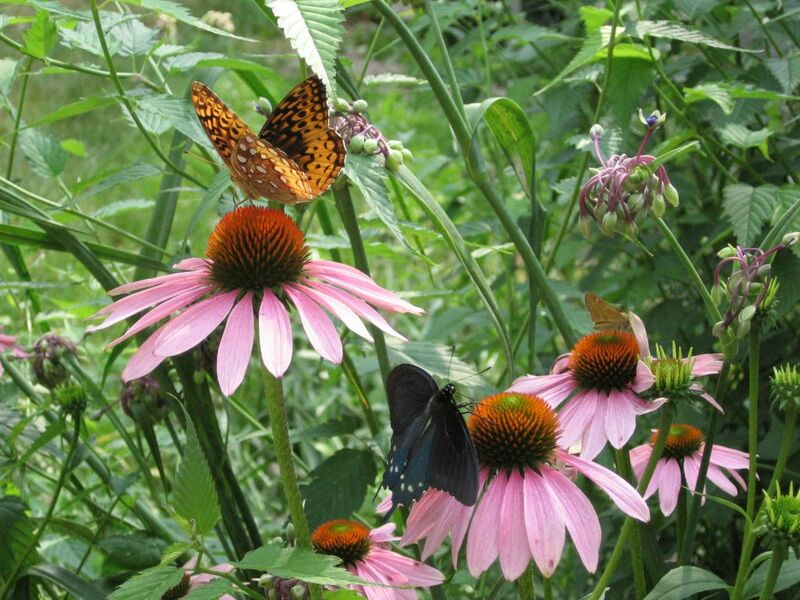 Several of you have asked me to write about fall planting in the garden. 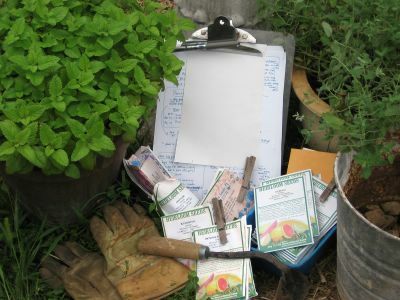 Since technically this blog is my personal garden journal, I'm going to tackle this subject from the perspective of my own garden (meaning I'm finally getting around to making note of what I've been doing). But I'll also do my best to offer tips and advice for those of you considering extending your gardening season into the cooler months this year. Of course no matter where you live, it is possible to trick your plants into thinking that brisk air isn't as cold outside as they think. Walk-in greenhouses, makeshift mini greenhouses (check the comments section in that link for my notes regarding construction), and temporary hoop houses can all be used to effectively extend the growing season and protect more tender plants from frost. 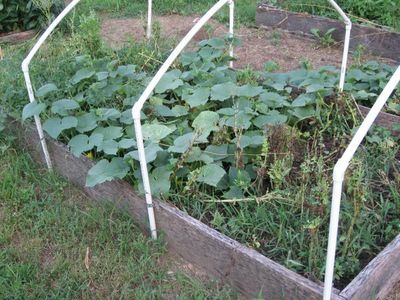 Even a length of inexpensive, floating row cover (sometimes called Reemay) draped over your plants at night (and during the day if necessary) gives you 5 extra degreesF of heat--and sometimes that can mean the difference between fine and fatal. "This polyester crop cover material has some advantages over the Reemay we've carried for years. The UV resistance has improved, it is softer and less abrasive, it's much stronger in both tension and tear tests and the heat retention is better. Still made of white, UV resistant spun bonded polyester, it is lighter weight and designed to hold in heat while transmitting 70% of light through for adequate crop growth. Placed directly on crops without support, it requires no tending and water readily passes through it. It also retards insects when the edges are buried." Just be sure to remove it when your plants are flowering if they require pollinators. I have been using the same pieces of floating row cover for years and they're still in pretty good shape, but of course now I want some of this better stuff. On to the actual planting. Overall, our weather isn't conducive to fall gardening. It's simply too hot when it's time to start cool season crops (it's the end of August and we're looking at temps in the mid 90s for at least the rest of the week), and then it will turn cold before anything has had much of a chance to grow. Besides the hardy crops such as chard and beets I keep alive throughout the winter in my greenhouse and perhaps some turnips or kale or endive outside, I don't usually try for much of a fall harvest. This year, however, I've decided to do some experimenting (partly to use up a bunch of old seeds I didn't want to just toss out). For example, this is the first time I've ever had broccoli seedlings in the ground in August. I sowed them in a mostly shaded plot, and they came up pretty thickly, so I think I'll transplant some of them to a sunnier location once they're a little bigger and it cools down. What's Growin' On Now: Most of bed dug up by the dogs on 8/13/06. No sign of any beans. Beets all sprouted within a couple of days; some Detroit seedlings & a few Bull's Blood lived through the attack. What's Growin' On Now: Lots of seeds sprouted in only a few days. All destroyed by dogs except a few endive seedlings. Now have volunteer cucumbers popping up in one corner for some reason, but not enough time for plants to mature before frost. What's Growin' On Now: No sign of carrots or leeks. Lots of small kohlrabi and broccoli sprouts. Seem okay in heat so far, though already being attacked by bugs. Need to sprinkle with diatomaceous earth. 8/22/06 Update: Was out sprinkling with d.e. this morning and noticed the leeks are sprouting! Have never direct seeded leeks before. This should be interesting. May try transplanting into the greenhouse. Should probably move some of the broccoli into the greenhouse as well. Fall planting can get very complicated! 1. Seeds from a large zipper bag simply labeled "Kale 1998." Must have been thousands of seeds in there. Tossed all onto plot. 2. Rocky Top Lettuce Salad Mix (BC, 2004, same mix I grew this spring with great success, only those seeds were for 2006). 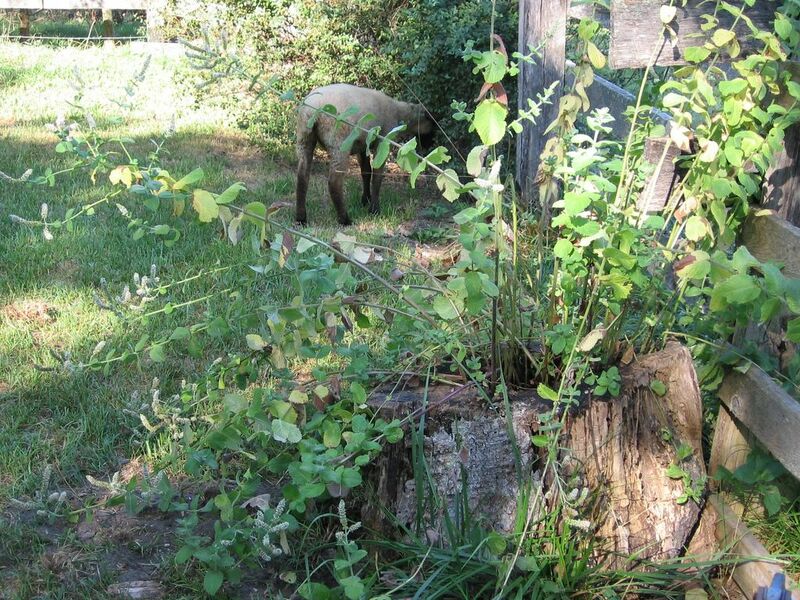 What's Growin' On Now: Nothing but a few stray weeds. I'm blaming the seeds and not the bed. I've mentioned before that in my experience, lettuce seeds do not save well from year to year. And those kale seeds were 8 years old. Figured it was worth a try though, especially as that bed is mostly shaded. Will probably reseed with something else. 4. 4 Swiss Chard seedlings from 2005 (!) still hanging around in individual plugs--NOTE: dug up and destroyed by something (think Lucky Buddy Bear) on 8/15/06. 5. 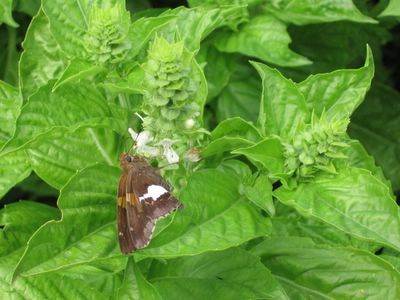 Several basil plants that have been languishing in plugs since spring. But anyone who has at least four weeks left before a killing frost is likely can plant a gourmet salad garden (many people don't realize that most lettuces will survive frosts and temps below 32F). 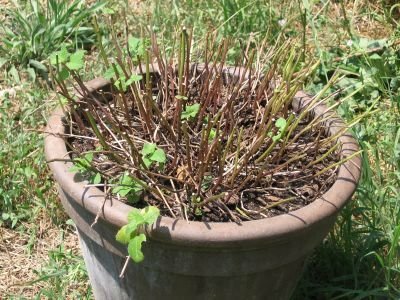 Click here to read my previous post that shows how you can go from seed packets to salad bowl in less than a month. If you plan to start seeds and are minding the moonsigns (click here to learn more about this), you'll want to start them August 28th, 29th, and 30th (fertile 1st quarter days) or September 4th (fertile 2nd quarter day). If you're pressed for time, just start your seeds whenever you can! I hope I've answered some of your questions about fall planting. As always, your comments, tips, and questions are welcome. Sometimes a photo can wipe out a thousand words. All the ones you cursed and muttered and screamed in shock and frustration and disappointment and disbelief--while struggling to create your garden. P.S. The farm got an inch of rain last night. Thank goodness. By 8:00 this morning, even the weeds were already wilting. But record breaking temperatures and barely a drop of rain for weeks can't keep the garden mint from growing back. Brown thumbs--meet your new best friend! It's way too hot to write coherent sentences about gardening. I have lots of nice white laundry on the line (that's been dry since 10 minutes after I hung it up yesterday), the thunder is rumbling so loudly it's practically shaking The Shack--and it is totally sunny outside. Something is seriously wrong here. After a trying and tiring day in the garden, sometimes it is necessary to search deeply for one good reason to continue the crazy, neverending struggle over our little tended patch of earth. And sometimes you simply look up, and your eyes wander over to a neglected fence where they land on a spray of smiling wildflowers that seem to have appeared for no reason at all except to capture every single drop of your attention for one brief moment--and make you smile. Today I was captured. And I am still smiling. Mother Nature may one-up us every time, but tomorrow I will be ready and willing to continue to fight. To garden. 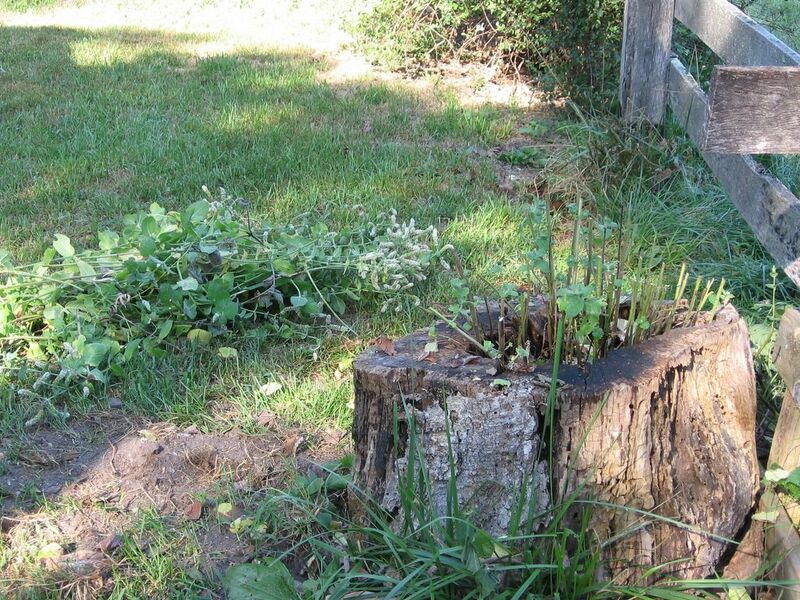 There's a reason bookies don't take bets on gardeners. I could probably get better odds at the blackjack tables in Vegas. This is what I woke up to this morning after stumbling, bleary-eyed and half asleep, out the back door in search of the reason for the intermittent, high-pitched yapping of my beagle which clearly translates as, "We are definitely up to no good." Behold one of the four beautiful beds I lovingly weeded and prepared and direct seeded last Tuesday (the right moonsign day!) in the hopes of having a tasty little fall harvest. 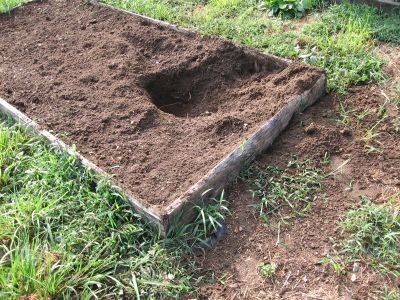 Unfortunately what you are seeing now--instead of the zillions of happy sprouts that were there when I went to bed last night--is a giant dog-dug hole. Ignoring the fact that my footwear and attire were decidedly not garden-friendly, I couldn't help myself. I crouched down on the ground and stuck my arm in it. This hole is elbow deep. And all that nice, rich soil you see on the outside of the bed? You probably can't tell from the photo, but I'm not going to be able to just sweep it up and put it back. This is not the way one wants to begin their Sunday morning (even if one's Sundays aren't any different from every other day of the week). Unable to take my eyes off the new crater in my garden, I just kept circling around it, my mouth hanging open in disbelief. Then I caught sight of the adjacent bed which had also been full of tiny sprouted seeds the night before and now was not. By the time I finally noticed the two wiggling, grinning dogs who had the audacity to hang around and act as if nothing whatsoever was wrong, I was wide awake. Let's just say it's a good thing I don't live in a place that has one of those ridiculous No Yelling At The Top Of Your Lungs Before 9AM ordinances in effect. Funny how they never dig up the beds you've prepared but haven't planted yet. I had planned to finally make note today of all the different seeds I started last Tuesday, but I don't think there's any big rush. New reader Anne at Backyard Treasures says, "You should consider joining us for a virtual Garden Party and Tour that Thicket Dweller is hosting over at her blog, Today's Lessons. Check it out." So I did, and now I'm spreading the word. Anyone with a blog is welcome to join the party. "Show me your summer garden--vegetable, herb, flower, container, or weed--and I'll show you mine," says Thicket Dweller. 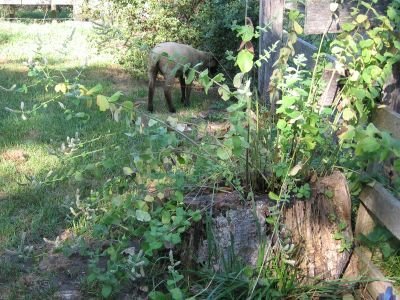 What a fun way to peek into other peoples' gardens and show off your own, while discovering new blogs at the same time. Not a blogger? Not to worry! You're invited to take the garden tour. Click here to check it out. Thanks to all of you who jumped right in to help save my little unknown plant in the greenhouse. I haven't had a chance to check out the links and photos you left for me, but it looks like the majority of you are leaning toward ajuga (something I'd never heard of). Rest assured it is still alive and well, though I do plan to relocate it somewhere else--just as soon as I figure out what it is for sure. Oh, and assuming it is ajuga--any recommendations regarding where I should plant it? And any idea how big/wide it's going to get? Thanks. And more thanks from me and my shepherdgirl pal Katherine at Apifera Farm for all of the pickle help. She was overwhelmed and thrilled that so many of you took the time to share your tips and recipes and has already put up her first batch of pickles. Here's a direct quote from her latest email to me: "Wow, that was really satisfying! Now I can't guarantee how they'll tase, but they sure look pretty. I sort of combined like 5 million recipes for everyone." And if anyone else has a pickle recipe they'd like to share, by all means do. 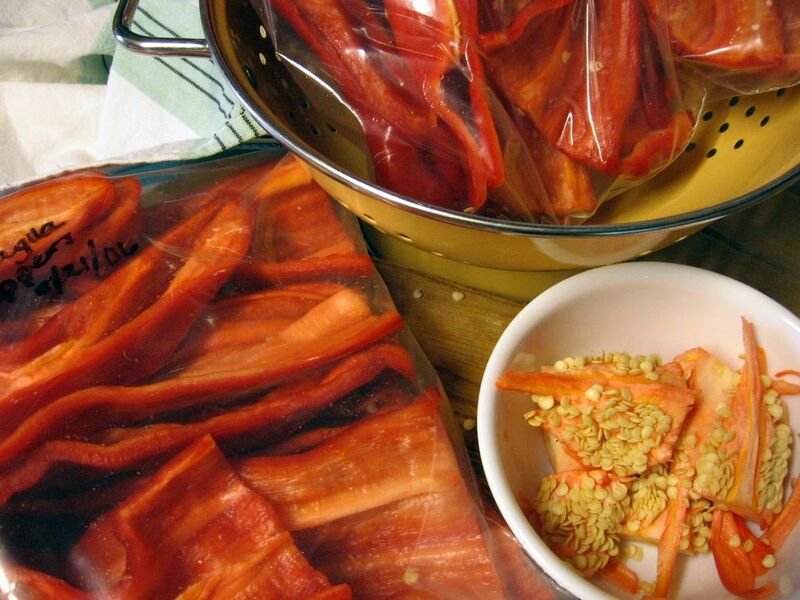 Pickling season is far from over for many of us! Just click here and leave it in a comment. Thanks again. I was sure I had something else to mention, but I have no idea what it is now. If I remember I'll add it in. Don't hold your breath, though. Ah! I just remembered! Last night I posted a recipe for Savory Tomato Pesto Pie over on Farmgirl Fare, my main food and farm blog. Click here if you're looking for a new way to serve up all the garden fresh tomatoes that are hopefully piled all over your kitchen. Hmmm. I still feel like I'm forgetting something, though. Oh! She remembers again! I've been literally deluged over the past few days with requests for various articles and recipes, as well as questions about all kinds of things. I'll do my best to get to them as soon as possible. Thanks for your patience, and feel free to bug me again--I don't mind. I have a short attention span. Save Me! Save Me! Help! I think I've finally gone over the edge. (I tried to think of a clever garden analogy just now to use in place of "the edge" but failed.) And it's all the Internet's fault. Okay, I have been out in the greenhouse doing a massive cleanup and replanting campaign (partly because someone--not Cary for once--dug up my only remaining patch of Swiss Chard in there). I lugged out containers of dried bean pods and radishes that have been waiting (since last year) to have their seeds removed. I fearlessly pulled out giant beet plants that had only half gone to seed but were laying all over and making a mess. I moved a big wad of row cover fabric along with various other non-living things off one of the raised beds. And then I came to this. This thing. This clump. This happy little plant that mysteriously appeared last spring in a container that once held one of these (until it died). When I transplanted the contents of that container into the greenhouse bed several months ago (because it had a couple of volunteer baby lettuce plants in it as well), this clump was much smaller. And while I have been ignoring it, it has been thriving. There is nothing else growing around it (that stem you see in the middle is volunteer yellow chard). It is surrounded by barren soil. It looks like one of those places in New York where they've razed an entire city block and are ready to start building the high-rise except that there's a rickety little cottage sitting at the edge of the property because the ancient owner refuses to sell. I did not feel sympathy for this mystery clump as I might the ancient cottage owner. No, I was all ready to yank it out of the ground to make way for something bigger, bolder, and better tasting. Then, just as the wrecking ball that is my gloved hand was about to level the site, I stopped. I (gosh, this is embarrassing) started to feel kind of bad. I started wondering what kind of plant it might be. 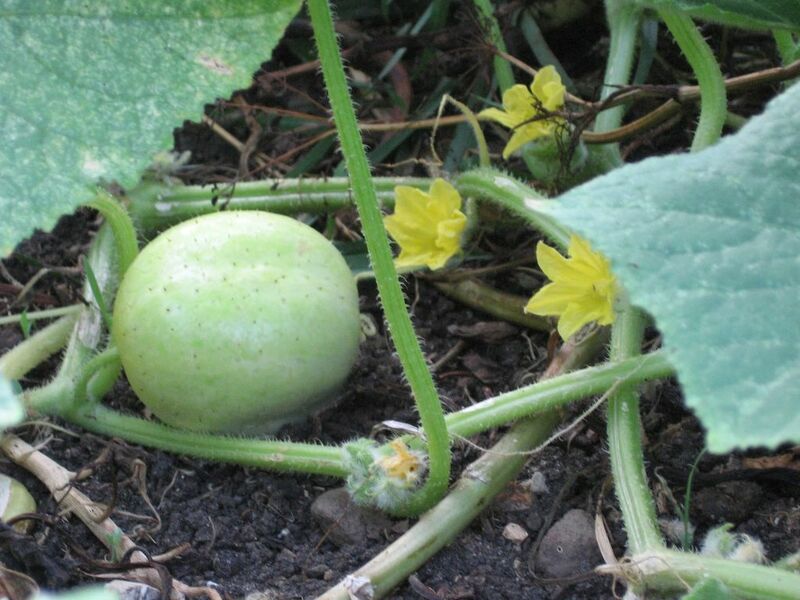 And then I remembered I have a garden blog. Where I could ask for help. So now it's sitting out there, leaves sweating, roots trembling, wondering if The Girl In Charge Of The Greenhouse is going to announce a stay of execution--or send it flying into the compost pile. I'm going to leave it up to you. Does anyone know what this is? Is it a real plant--as in, something I should save? It actually appears to be lots of little plants all bunched together. The undersides of the leaves are purple. I have no idea if this is normal or due to lack of nutrients. 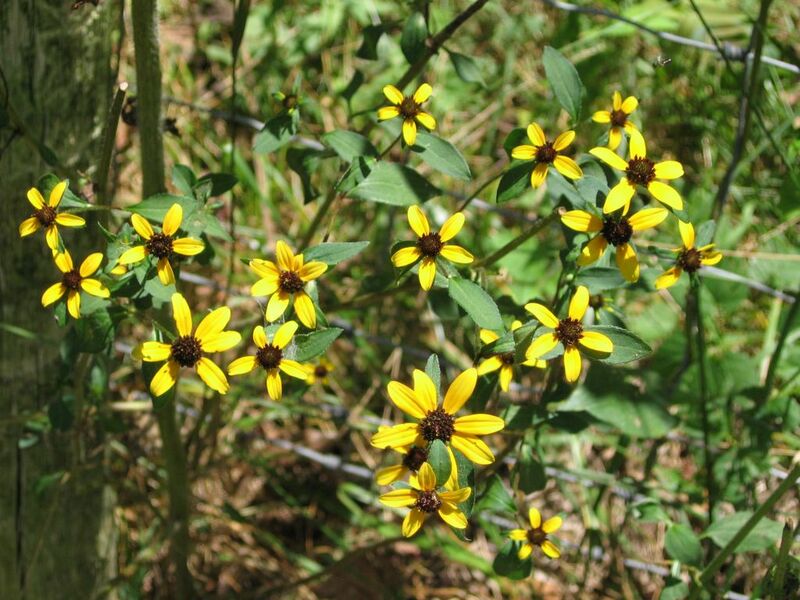 I realize, of course, that I am setting myself up for possible total humiliation here, as I may be pleading for life on behalf of some common noxious weed. Yet here I am, tapping away at the keys when I could be out playing with the plants I can identify. I'm going to go back out to the greenhouse and work around it for now. But if I don't hear anything from anyone soon, well. . . 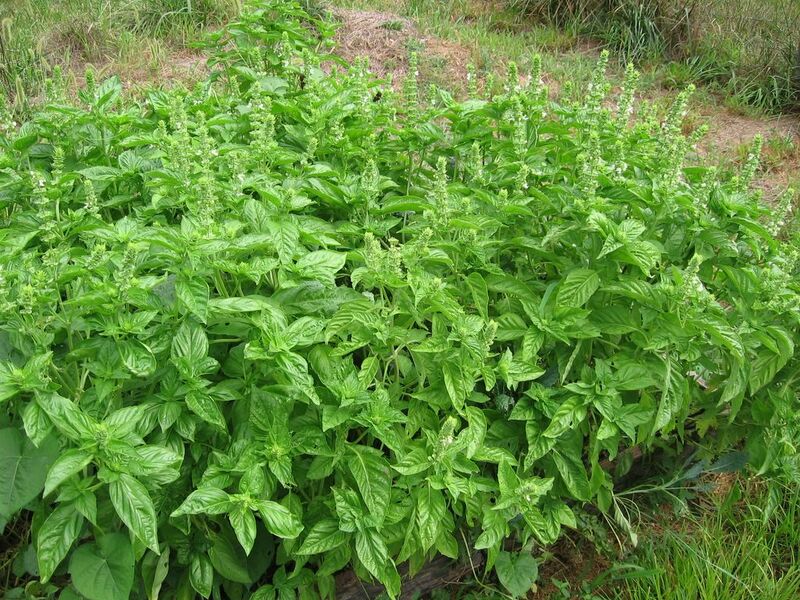 I think I'm just going to let this giant volunteer patch of basil go to seed. I have plenty more in the garden (including some very young volunteer plants that popped up where the pole beans were supposed to). And besides. . . It's not as if it isn't being used. 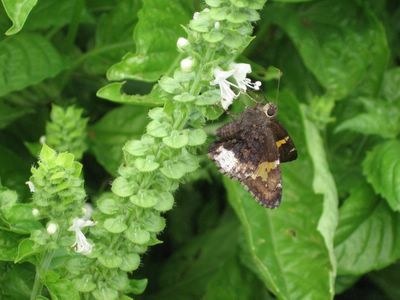 (I'll give up my basil to pollinators any day. They literally mean the world to us. As for Bear--well, he usually treads pretty lightly. Plus he's really cute.) 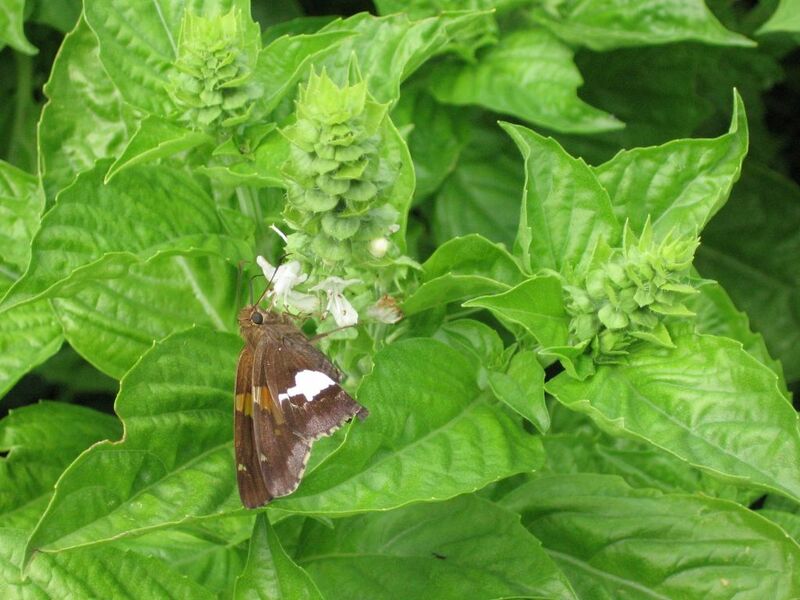 Many thanks to all of you who took the time to let me know your thoughts and experiences regarding using blooming basil in the kitchen. I was feeling optimistic (plus I was tired of having old packets of seeds hiding everywhere) so I did go ahead and start some seeds last Tuesday (fertile second quarter day). Four entire full beds of them! I have to admit, though, that I don't have real high hopes for fall crops. (What fool plants 70-day pole beans less than two months before the first expected frost? Oh, wait, that would be me.) But I do have notes on what went where in case something decides to show up and survive. Okay, I don't exactly have notes, but, like I usually do, I piled the seed packets on top of one another in the order I planted them in each bed. But then I went one step further--I held the ordered packets together with clothespins. Now as long as I remember which bundles of seeds went in which raised beds, and where the seeds on the top packet went, I'll be fine. I know. I'm supposed to be recording all my planting information here. 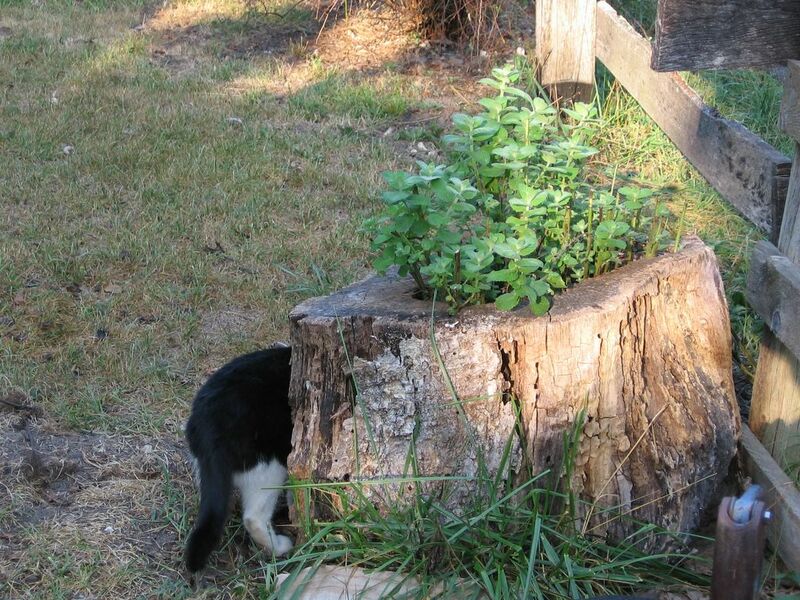 That was the whole reason for starting this garden blog. And I will. Maybe tomorrow. Today I had more pressing (and more interesting) things to write about first. Which leads me to. . .
Out Of My Inbox: In A Pickle! 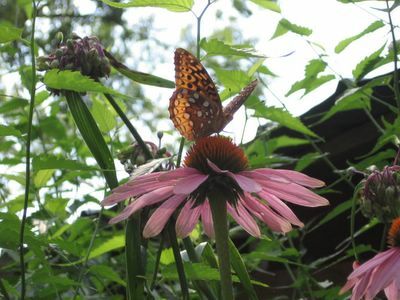 I thought my pal Katherine, who lives on Apifera Farm ("where animals, art, and lavender collide") knew how to do everything. I mean, she rides a horse, tends the 4700 lavender plants she and her husband planted, has a wonderful way with words on her farm blog, is an acclaimed artist, quietly created a rapidly growing peace movement with her animals, and can even bake a mean blackberry pie. I want to pickle my little cucs... and my finger beets - do you have any archive recipes? Don't you love the word pickle?" I then offered to ask you all for help, and she was thrilled. "I would love to see recipes! I think I want to try the long version/jar version - but I'd be curious about the fridge ones too for the ease of it..."
So how about it? Does anyone have a favorite pickle recipe they would like to share? And remember--she wants to pickle her little beets, too. I'm sure we can come to her rescue. And then I'll be able to go back to assuming she knows how to do everything, and the world will feel right again. Kellogg's Breakfast Tomatoes Ripe, Ready To Eat. . .
Absentmindedness saved me from having to eat my words--which left me with plenty of room for these glorious tomatoes. Here's what happened. I planted Kellogg's Breakfast tomatoes because I absolutely love them. But when the first tomatoes ripened, they were big and bad. And not in a good way bad. In a rotting, cracked, mushy, bug-infested way bad. That's when I remembered that I'm not supposed to be growing giant tomatoes anymore. 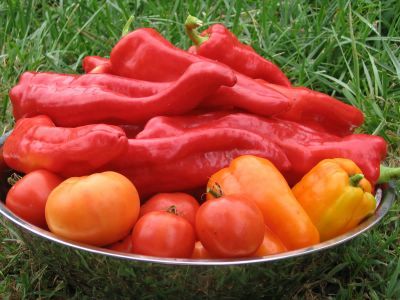 They simply take way too long to mature--which means there is plenty of time for tomato diaster to strike in one (or three or four) of its many forms. 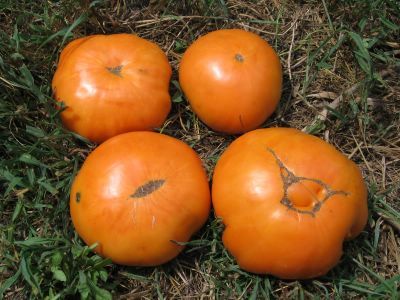 The worst of the supersize tomatoes are the ones shaped like these--all rumpled and full of cracks and crevices. Similarly shaped varieties include Purple Cherokee and Brandywine (which is probably the best known heirloom tomato in the country--and possibly beyond). Many people who have no idea what an heirloom tomato actually is have heard of the infamous pink Brandywines. In fact, the Baker Creek Heirloom Seeds catalog claims it is "the most popular heirloom vegetable!" which makes sense considering heirloom tomatoes are undoubtedly more well known than all other heirloom vegetables. But back to the rotten Kellogg's Breakfast tomatoes. I plucked two of the offending specimens from the vine and set them in the grass to take a photo. I figured I would show you what a waste of time it is to grow these and berate myself for falling into their sweet, juicy, beautifully orange trap once again. Something distracted me, though (most likely Cary), and it wasn't until the next day that I realized I'd picked those tomatoes up and tossed them into the bowl of gourmet scraps for the chickens--and forgotten all about the photo. No problem. I would simply take a picture of the next ripe ones, as they would surely look just as sorry. Boy, was I wrong. Not only did I find these four beauties yesterday, but the vines are loaded with (so far) perfect looking, nearly ripe tomatoes. Yes! This means I am now officially recommending Kellogg's Breakfast tomatoes for your garden. I can't guarantee you'll have a successful harvest, but I think they're worth a try. 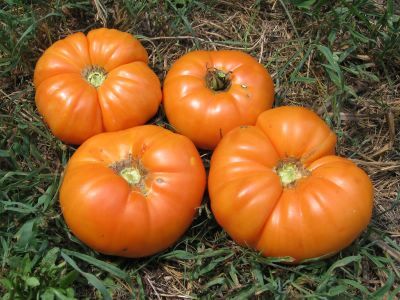 These plants were started from seeds ordered in 2005 from Baker Creek Heirloom Seeds, who says of Kellogg's Breakfast tomatoes: "A giant, beautiful, orange beefsteak preserved by our friend Darrell Kellogg, a railroad supervisor from Redford, Michigan. The fruits are very flavorful and superbly sweet! This delicious heirloom is from West Virginia. A favorite of Dr. Carolyn Male, author of 100 Heirloom Tomatoes For The American Garden." I started my seeds on 2/6/06, transplanted the seedlings into individual plugs on 3/19/06, moved them into the ground on 4/25/06, wondered what the heck was taking so long on 5/19/06, and have probably eaten two pounds of them over the last two days, some of which were in this impromptu zucchini & tomato salad I created this afternoon. 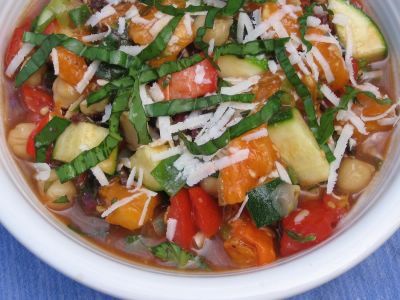 This is basically a variation of my Summer In A Bowl, but it was inspired by this recipe my pal Alanna (whose last name just happens to be Kellogg) posted last year on her popular blog, A Veggie Venture. The recipe caught my eye when I was perusing her archives this morning because I have some zucchini I need to eat, and I liked the idea of using it raw. So I took her recipe and ran with it. I love how it is just bursting with the colors of summer. Like the Summer In A Bowl, this is a very juicy salad--even if you squeeze some of the juice and seeds out of the tomatoes before dicing them up. I don't mind all that juice (in fact I will probably put it in a glass and happily drink it up), and if you let the salad sit around on the counter for a while, it acts as a marinade, allowing the veggies to soak up even more flavor. You could always dish it up with a slotted spoon if you don't want to serve something sloshy. Again, you can play around with ingredients and ways to serve it. I think this would make a fantastic cold pasta salad. If I were going to toss it with hot pasta (which I bet would be very tasty), I would probably dunk the diced zucchini and sweet red peppers into the pasta water during the last minute or two of cooking. Use what you love and what you have on hand when putting together this salad. Amounts are totally up to you. Make it yours--but please do share any scrumptious variations you come up with. Enjoy. Put everything (along with anything else that strikes your fancy) in a large bowl and toss with a big spoon until well combined. Salt & pepper to taste. Devour however you like (see my Summer In A Bowl post for more ideas), garnished if desired with shredded cheese and basil chiffonade. A hunk of warm, crusty bread served on the side to soak up all that juice should probably be a requirement. © Copyright FarmgirlFare.com, the bright orange foodie farm blog where when we say Kellogg's, we aren't talking about breakfast cereal. Somebody may have to take my scissors away from me. I Mean Really, Could It Look Any Happier Now? 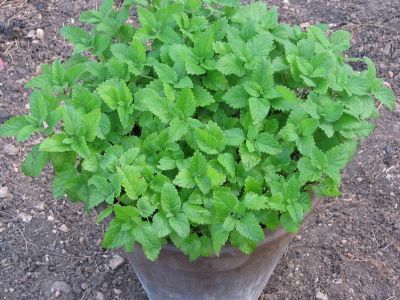 I think the mint is very happy. In fact, it'll probably take off and be at least that height again before winter. It's mint! Now if you'll excuse me, I'm sure there's something around here that desperately needs to be cut off. 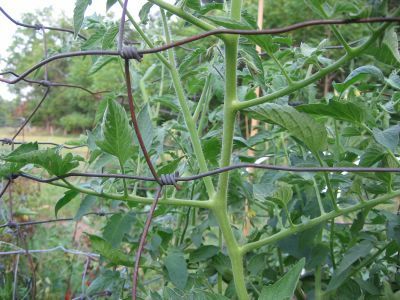 Although I've written two posts about the scary super trim I gave my two Arkansas tomato plants (click here), I never actually described exactly which leaves were the "useless" ones I cut off. This would have no doubt been helpful, especially since the experiment was a success. So here goes. 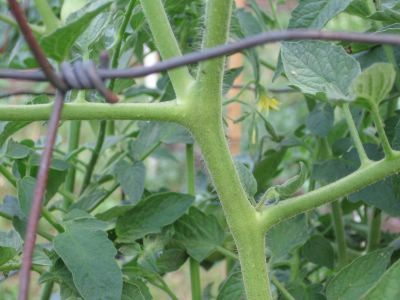 An added benefit to thinning your tomato plants is that it enables you to create order from chaos (and show me one gardener who doesn't have a chaos problem in their garden). 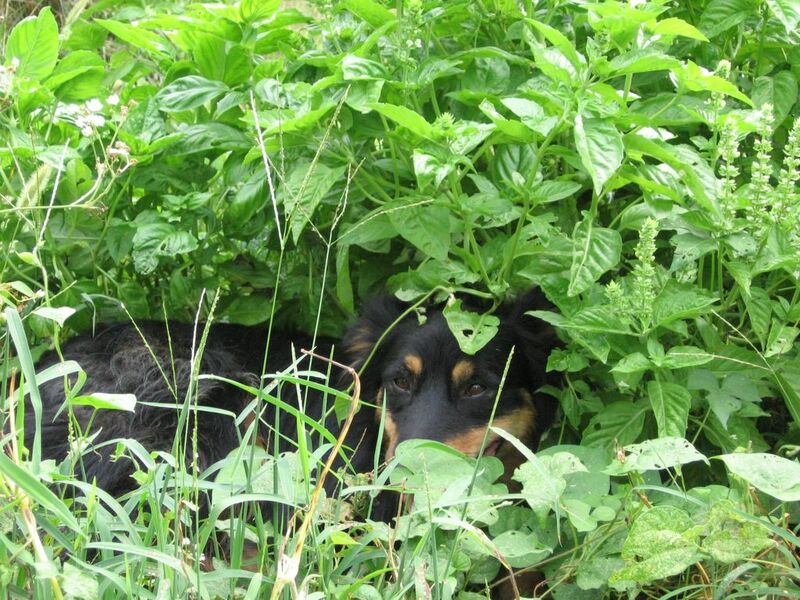 A tangled mass of leaves and vines can become a neat and manageable plot in mere minutes. This is especially helpful if you have yet to cage or otherwise stake up your plants. And if they're growing quite close together (like mine always are because every year I insist on cramming way too many tomato seedlings into each 4' x 8' raised bed), thinning out the leaves will allow for better airflow between the plants. Despite the abundance of sprawling, uncontrollable, cageless tomato plants currently growing like mad in my garden (what, you thought I showed you everything out there? ), my tomato trimming days are pretty much over for the season. Due to heat-zapped brain cells—along with no desire whatsoever to spend any more time out in the blazing sun than absolutely necessary—I blow off a lot of garden stuff in August) But I'm sure there are some of you who are up to the challenge. Although I have always figured that trimming the "useless" leaves would be more beneficial before they got very big—since you're trying to help the plant expend less energy growing them—as you can see in the original post, my Arkansas Travelers were quite mature when I took the scissors to them. They were even loaded with full-size fruits. Those are the ones that need to go. They are basically doing nothing except making you wait longer for your ripe tomatoes. Who needs that? Grab the scissors! Those tiny leaves are hoping to grow into fruit producing branches. Cut off that big useless leaf below them and help them out! There will almost always be useful growth literally right on top of the useless leaves. The size of that growth will vary. Sometimes it will be much larger than this. And that's all you need to know. Except that I've found that regular old scissors work the best when tomato leaf trimming. For years I simply used my fingers and fingernails to snap off the leaves. But when you're dealing with dozens and dozens of stem snaps, this gets real old real fast. Plus if the leaves are thick, sometimes it doesn't work right. This year when half my leaves started to bend instead of snap like I wanted them to, I pulled out my sharp little pocket knife and had one of those Oh my god, why haven't I been using this all along? moments. Then the knife thing started getting old, especially when I found I was often peeling away part of the trunk along with the leaf. Plus I slit a couple of fingers (not badly). So then I had an even more brilliant idea and switched to scissors, which was same the day I launched the attack on the Arkansas Travelers. Oh, and the only other thing you need to be aware of is that this is one of tasks where it is very easy to get carried away. But I think I've already made that quite clear. One of these days I'll also share how I make inexpensive homemade tomato cages that beat the storebought varieties I've tried hands down, because they actually keep my giant tomato plants up! Soon (I hope). 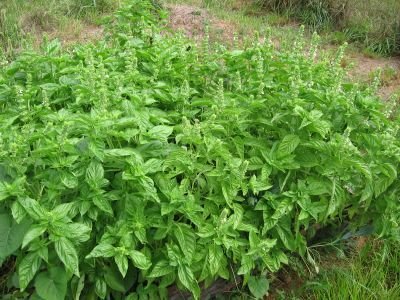 Does anyone have experience using basil or making pesto from blooming plants? I know I've just cut off the flowers and used the leaves many times (because I am always, always late making my pesto), but since I usually just make super strong pesto that I freeze and toss into pizza sauces during the winter, I've never bothered to see if the leaves taste a lot stronger or are bitter or whatever once the plants are blooming. You know, like how the taste of arugula changes so much once the plant matures and starts to bolt (click here and look for my comment). I do know that, like arugula, the shape of my basil leaves totally changes as the plants mature: from rounded, smooth, and 'soft' looking to smaller, sharper, and more textured. I don't know why, but it always amazes me when that happens. My salad plot plan has a rapidly growing glitch in it. I actually have photos of the lettuce harvest, but I never got around to posting them (or the handy harvesting tips I discovered). I did write an article back in April all about growing your own gourmet salad greens called "Sublime Salads For Those Who Are Short (On Time, Space, & Sunlight): From Seed To Salad Bowl In Less than A Month." The only cucumber plants I have growing in the garden this year are volunteers, as the seeds I started in containers never made it into the ground (along with a bunch of other things like the tomatillos, but that is just how it goes sometimes). Besides the ones in the lettuce bed, there are these two plants growing alongside it--despite a couple of brushes with death. When they were just little sprouts, Cary sat on (and nibbled on) them. They managed to survive and started to spread, only to be overcome by some unknown disease/insect attack/whatever that, practically overnight, made nearly all of the leaves turn yellow and then shrivel up and die. I thought I took a photo when that happened, but I guess it was too depressing. I did take this current picture of one remaining sickly leaf (which looks better than the others did). 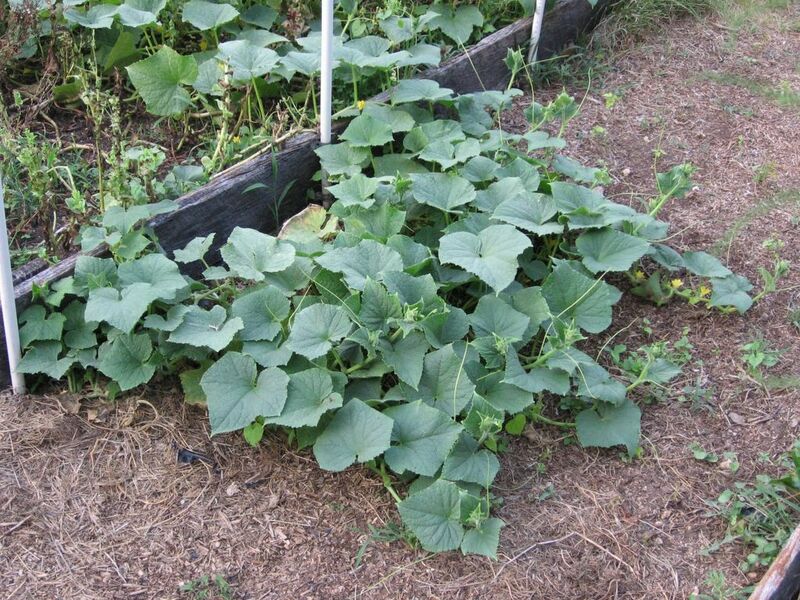 Referring back to my point above about unstoppable cucumber plants brings me to. . .
For every awful thing that happens in the garden, there is usually (if you look hard enough) a wonderful surprise to balance things out. 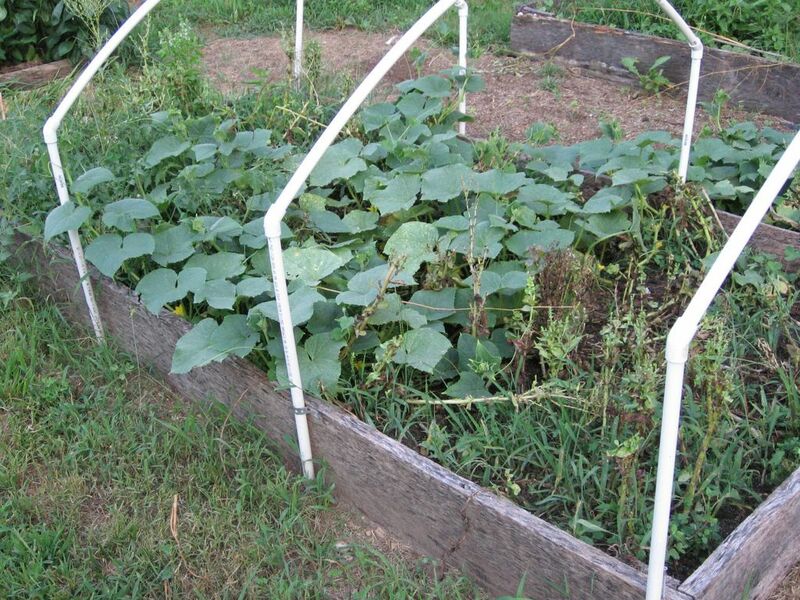 This time it was these cucumber plants that I was sure were goners. But while I sulked I continued to water them (lack of water was not the reason they shriveled up), and suddenly one day the plants were back and bigger than ever. And that brings me to. . . The Great Lemon Cucumber Glut should soon be here! I can't wait. Surprise! 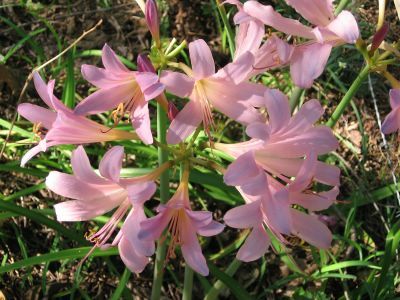 Cary didn't eat all the surprise lilies in the front yard--yet. Friday 8/11, Saturday 8/12, and Tuesday 8/15 are fertile days in the third quarter. These are the best days for transplanting--seedlings into the garden, potted plants into roomier accomodations, etc. If you have no idea what this minding the moonsigns business is all about but are intrigued (and need all the help you can get in the garden), click here to read more about it.